Now that the medical community knows more about the adverse effects of sports-related concussions, parents, coaches, and athletes are taking safety precautions much more seriously. In the past, a concussion sustained while playing sports may have been dismissed as just a bad headache. These days we understand a bump, blow, or jolt to the head (or even the body) can cause the brain to move rapidly inside the skull, often affecting brain function and impeding an athlete’s ability to participate in sports for some time afterward. In worst-case scenarios, coma or death can result. In some cases the full scope of symptoms isn’t recognized for days or weeks afterward, which is why it’s vitally important to monitor such patients for serious and/or long-term health effects. Unfortunately the incidence of concussions is high, with up to 3.8 million sports- and recreation-related cases logged in the U.S. each year, according to the Brain Injury Research Institute. In a given year, in fact, 10 percent of all U.S. athletes playing contact sports will sustain a concussion. The high school sport generating the most concussions? Football, at 60 percent. But soccer generates the most concussions for young women. Bicycling, basketball, hockey and playground activities also commonly produce such injuries. 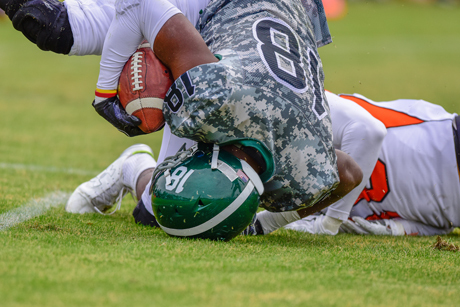 Because concussions are so problematic, states, school districts, and youth sports league organizations have established different rules and guidelines governing continued play following such injuries. To help, the CDC has established recommendations including a five-step "Return to Play Progression." As a baseline, the patient must have undergone physical and cognitive rest and not experienced symptoms for at least 24 hours, though younger patients are advised to follow stricter guidelines. The impact can damage brain cells and cause chemical and cellular changes to the brain. Symptoms may include headache, nausea, fatigue, confusion or memory problems, sleep disturbances, reduced reaction times, and/or mood changes. Some can be long-lasting. If concussion is suspected, you should seek medical attention immediately. A healthcare professional can advise on treatment, which may include drugs; physical and behavioral therapy; inner ear or eye therapy; training exercises to promote motor skills, balance, and reflexes and/or exertion training. In some cases, doctors may recommend a lengthy break or even permanent retirement from contact sports. Studies show younger athletes and females recover slower than older athletes. An athlete sustaining one concussion is four to six times more likely to sustain a second concussion. Second concussions that occur before the first has healed can be more dangerous. Coaches should be informed about any concussions sustained by players. The more we continue to learn about the effects of concussion, the better we can protect our young athletes from long-lasting injury. CARF International accredits more than 50,000 programs and services at 25,000 locations across the world, including rehabilitation facilities that specialize in treating brain injuries. Learn more about our member organizations at CARF.org. Hi Chris. That's a good point. Concussions are not limited to sports, and neither are the effects. Concussion is a brain injury. I suffered a concussion in a car accident. No concussion should be taken lightly. I felt the doctor that looked at me after the accident did.